This statistic shows the results of a survey conducted in the United States in February 2017. 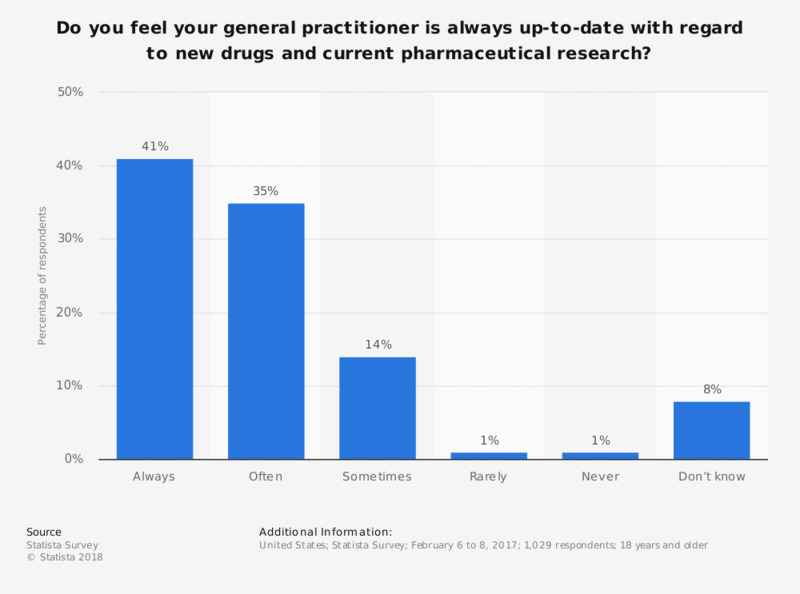 U.S. adults were asked if they feel that their general practitioner is always up-to-date with regard to new drugs and current pharmaceutical research. In total, over 40 percent of respondents stated that their GP is always up-to-date with regard to new drugs and current pharmaceutical research.